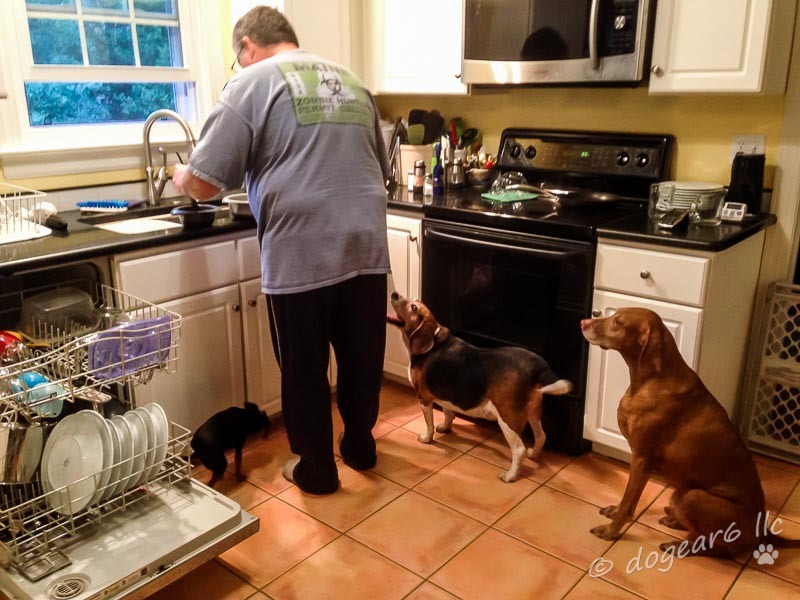 It’s feeding time at the zoo, although the miniature pinscher is more intent on scratching himself than what’s happening at the sink with the food bowls! He is regal, isn’t he? He’s the alpha dog when it comes to attention, but he’s not overly into his food dish, unlike the other two who have an internal clock that tells them when their daddy is running late feeding them! Happy boys! :) Happy Thanksgiving!! They are happy and they’re good dogs. But it’s always a mob scene when it’s time to eat. I hope you had a good Thanksgiving too!